Over 400 former Justice Department employees have come out in protest of President Donald Trump’s appointment of Matthew Whitaker as acting Attorney General, demanding in a signed letter that the top official be replaced. The ex-DOJ officials and attorneys claim Whitaker’s appointment is problematic because he was not confirmed by the Senate and thus was not “fully vetted” for possible conflicts of interests. Said official would be Deputy Attorney General Rod Rosenstein, who was confirmed by the Senate in April 2017. 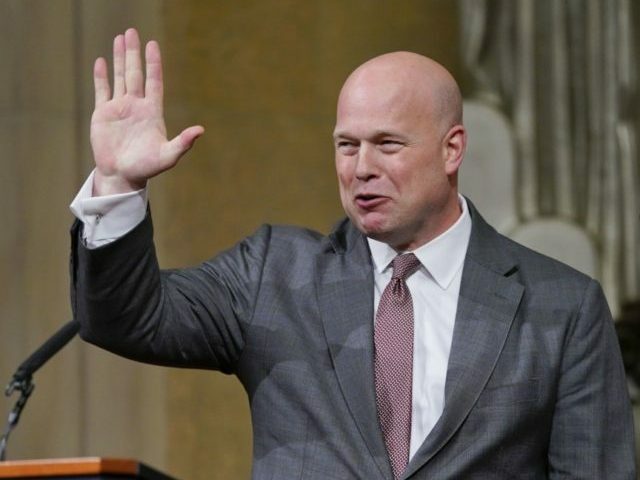 Last month, President Trump appointed Whitaker as acting Attorney General after firing then-Attorney General Jeff Sessions. Soon after Whitaker’s appointment, Democrat Senators filed a lawsuit in a district court to challenge the move, arguing it was unconstitutional because the Senate had not confirmed the official. “Installing Matthew Whitaker so flagrantly defies constitutional law that any viewer of School House Rock would recognize it,” Sens. Richard Blumenthal (D-CT), Sheldon Whitehouse, and Mazie Hirono (D-HI) said in a statement after filing the lawsuit. Days later, Whitehouse wrote a letter to the Office of the Special Counsel investigate Whitaker for possible Hatch Act violations when the acting Attorney General served as chief of staff to Sessions.